ParkinsonNet in the Netherlands has more than 2,700 medical and allied health professionals working in collaboration to support Parkinson’s patients. They are backed by the Radboud University Nijmegen Medical Centre, Nijmegen, and endorsed by the Dutch Parkinson patient’s society. ParkinsonNet is led by Dr Bastiaan Bloem and Dr Marten Munneke. 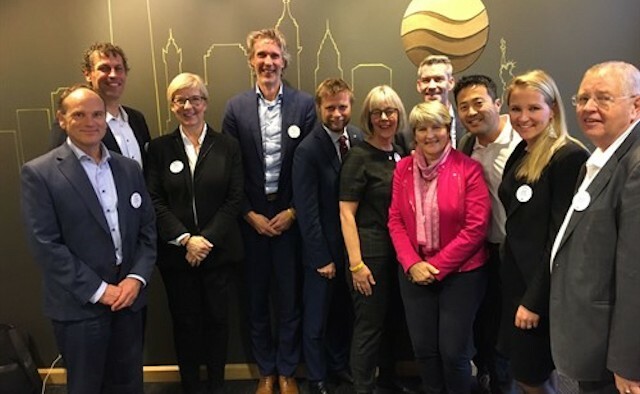 ParkinsonNet has partnered with the Norwegian government to launch its innovative Parkinson’s healthcare model in two pilot regions, Oslo and Stavanger. The initiative, which originated in the Netherlands, ­utilises the ‘patient as partner’ approach, where people with Parkinson’s “co-design” their treatment programme in collaboration with a dedicated, multi-disciplinary team– accessed via ParkinsonNet’s online database of expert practitioners. The programme will start by training Norwegian providers in order to ensure a self-supporting, high quality and sustainable network. Bent Høie, Norway’s Minister of Health, said: “The Norwegian government wants to learn from the Dutch ParkinsonNet and apply this to its own system as of 2017. ParkinsonNet improves access to specialised care – a common challenge in Parkinson’s treatment – for patients, while also lowering costs and reducing risk of injury. The initiative uses an ‘healthcare finder’ to connect patients with nearby highly trained specialists. They first established the model in the Netherlands, and earlier this year, ParkinsonNet founders Dr Bastiaan Bloem and Dr Marten Menneke introduced the programme to Kaiser Permanente, one of America’s leading care providers in California, USA.